There is probably no current American politician who understands the challenges facing immigrants more than Congressman Adriano Espaillat. In 2016, he became the first Dominican-American elected to serve in the United States Congress. Espaillat came to this country at nine-years-old in 1964 and was once an undocumented immigrant. The congressman, whose district includes Upper Manhattan and a portion of the Western Bronx, has already been an outspoken critic of the Trump administration’s immigration policies. Espaillat’s story mirrors that of many of his Bronx constituents and Lehman students, who as DREAMers came to the U.S. with their families as children and may be at risk now for deportation. More than 50 percent of Lehman students are Hispanic and 55 percent reside in the Bronx. About 31 percent were born in the Dominican Republic, and nearly 40 percent were born outside the United States. 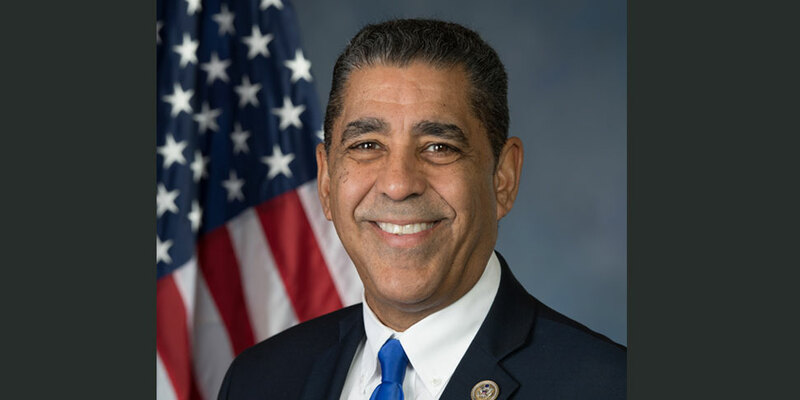 Espaillat and his family initially came to the country on travel visas, overstayed their visit, and then returned to the Dominican Republic. They were ultimately issued green cards and came back to the U.S. He grew up in Washington Heights, where he became a well-known community advocate before entering politics. The road to Washington went through Albany, where Espaillat served first in the New York State Assembly and then in the New York State Senate. In 1996, he became the first Dominican-American elected to the state legislature. He has been a staunch advocate of a fair living wage, investments in affordable housing, criminal justice reform, infrastructure improvements, expanded youth programs, and better educational opportunities. He currently serves as a member of the powerful House Foreign Relations Committee, the House Committee on Education, and the Workforce and House Select Committee on Small Business. Espaillat has publically applauded the court decisions to block Trump’s travel bans, and has called for an effort to “make sure we resist all of Trump’s negative, draconian initiatives, especially his executive orders, that stand in opposition to who we are as Americans,” he told City & State magazine. On the house floor, he criticized Trump’s proposed Mexican border wall and introduced a bill that would ban the building of walls or fences on federal land near the border. Earlier this month, he cosponsored a bill called “The Protecting Sensitive Locations Act” that would prohibit Immigration and Customs Enforcement (ICE) from conducting “arrests, interviews, searches or surveillance” at “locations such as courthouses and bus stations.